God granted me the privilege to be involved in His kingdom as a Youth Pastor. 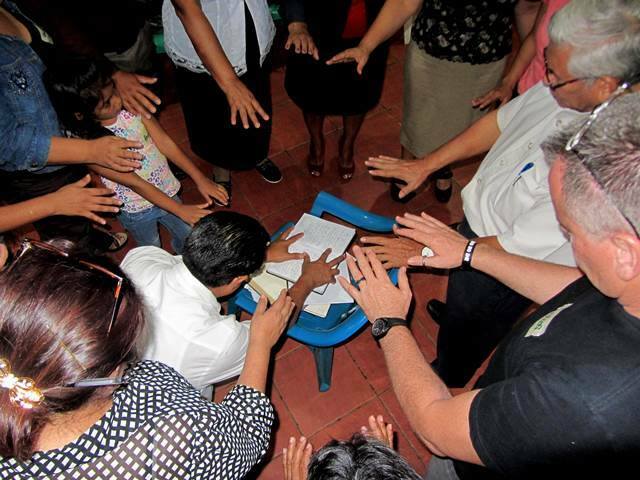 I began this work when I was very young, coordinating activities for the Youth ministry at the church that my parents founded in Managua, Nicaragua. For the first few years, I basically dedicated to continuing the work that other leaders had initiated, with the purpose of discipling children of the adult members to continue following Jesus. I wanted the Youth ministry to flourish and to grow in a very particular direction – that later I would come to learn was a direction that was not exactly centered around what God would want. To better explain, I should say that my church was located in one of the most prosperous neighborhoods in the North-West side of the capital city, but at the same time, located less than one kilometer from one of the biggest and poorest slums in the city. In my mind, I envisioned a Youth ministry integrating many youth from the nearest neighborhoods. 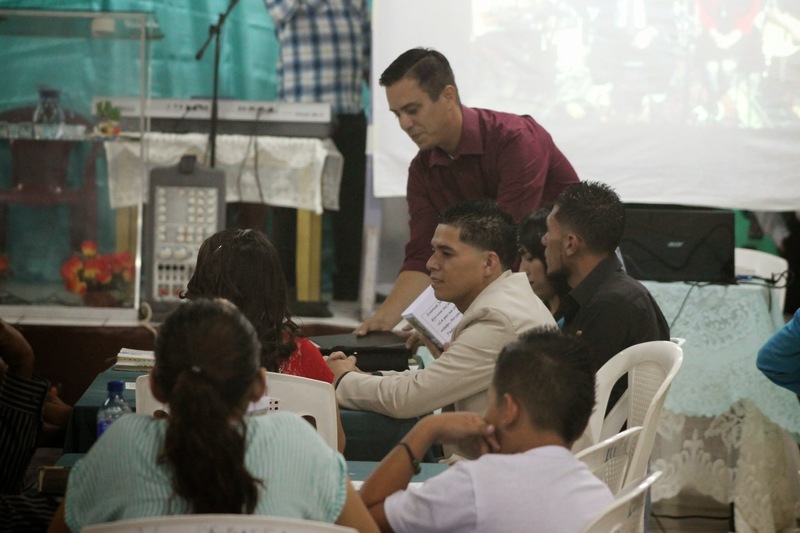 I saw many young people from the middle class attending and participating in the life of the church, but I did not see Youth from the slums coming to our group. My vision of growth and evangelism was very specific and selective, until I became part of “Mission for Transformation” at the Nehemiah Center. Mission for Transformation was the answer to reaching beyond just my interest in youth who were already Christians, it also confirmed the strong desire in my heart to see other Youth from the neighboring communities receive Christ. “Since the beginning God has approached darkness and chaos with an abundance of love, to transform the ugly into something beautiful, the obscure into something new and dazzling” these were the words of the facilitator commenting on the passage from Genesis 1:1-3. Since that first workshop with Mission for Transformation, I understood that the Holy Spirit does not run away from chaos, nor is intimidated by darkness or disorder, and if it wasn’t for this courageous and loving character of God, I also would not be a follower of Jesus. Mission for Transformation helped me to understand and see clearly how afraid I was of certain types of people; the poor and those that lived in areas that we call “marginalized”, and my fear converted into a ministry that made exceptions of other people. This change in perspective, transformed my ministry. I began to develop relationships with Youth in the slums, I no longer feared the Youth with backgrounds of violence and addictions. Little by little, and almost without realizing it, God also brought new life and a powerful revival in our Youth group, adding Youth that didn’t necessarily originate from conventional social segments. 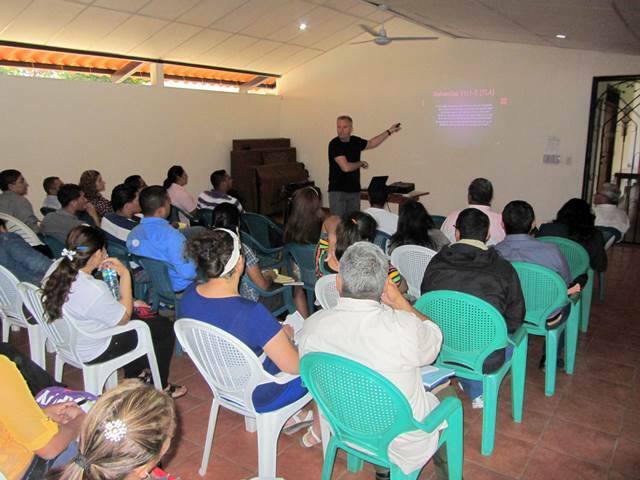 MISSION FOR TRANSFORMATION is equipping the local church to better serve Youth and their families in difficult places. Our primary focus are those that are furthest away; youth and families that for their story and social condition are commonly forgotten. It is our desire for Pastor’s and church leaders that participate in Mission for Transformation, renew their hope and strengthen their love for the Youth and their families that do not go to church. We desire that the participants acquire a better ability to construct a transformational youth ministry based in the relational model of Jesus that allowed for Disciples to be populated by Youth, walking with them towards integral development. Mission for Transformation consists of a series of workshops and practical exercises that looks to create spaces for theological reflection and inspired self-evaluation through the relational and incarnational ministry of Jesus. The themes of these workshops look to strengthen our hope in the highly disintegrated human family, in the power of the story of the Cross, to live with and see a God amidst the pain in our communities and in the work of the Spirit that today as always, becomes closer to the chaos and darkness to create something new and beautiful. Click to watch a 1 minute explanation of Mission for Transformation. Watch a sneak peek at what the Mission for Transformation program of the Nehemiah Center is all about; finding relevant ways to reach youth in their context.